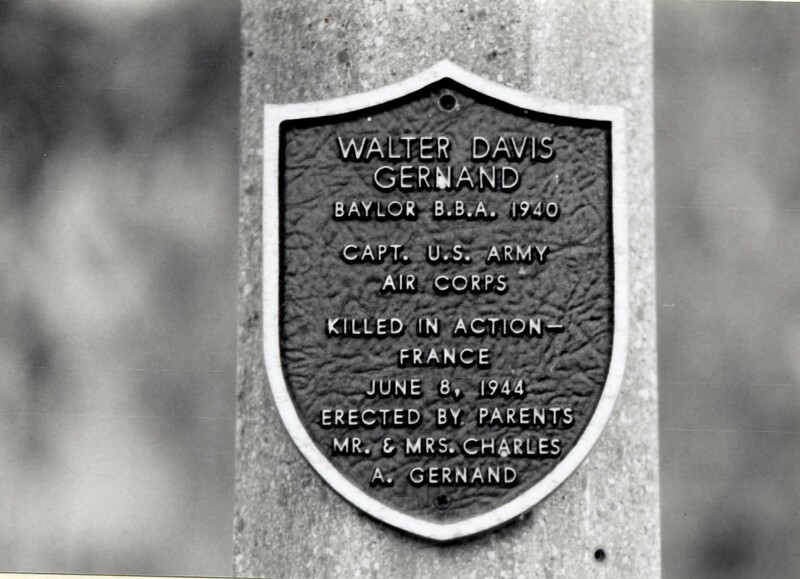 Walking across the Baylor campus, you may have noticed that your way is marked by distinctive lampposts, some of which bear plaques honoring Baylor men and women killed serving their country. These memorial lampposts are said to serve as honor guards by day and to illuminate the campus by night and are part of a tradition that began in 1946. Jasek started his research at The Texas Collection, but he also used government documents and even reached out to the families of the deceased, who in some cases were able to provide photos, letters, and other valuable artifacts. 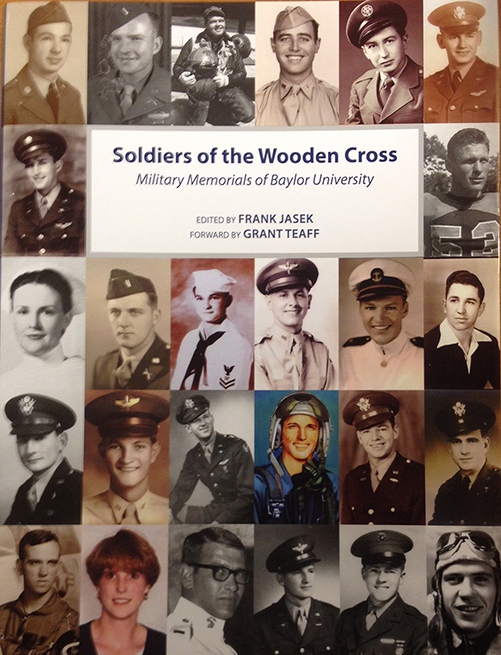 Soldiers of the Wooden Cross: Military Memorials of Baylor University is available at The Texas Collection, as is the Frank Jasek papers, which feature the research files compiled in the process of completing the book. For more information, see the book’s website, which includes excerpts, reviews, and a list of retailers. The Waco Tribune-Herald and the Baylor Lariat also have done articles on Jasek’s labor of love. Visit the University Development website for information on campus memorials and tributes. Working with the Waco Foundation, Jasek started the Soldiers of the Wooden Cross Scholarship Fund for veterans, family members of veterans, ROTC cadets, and active duty military. All proceeds of book sales will benefit this scholarship fund. 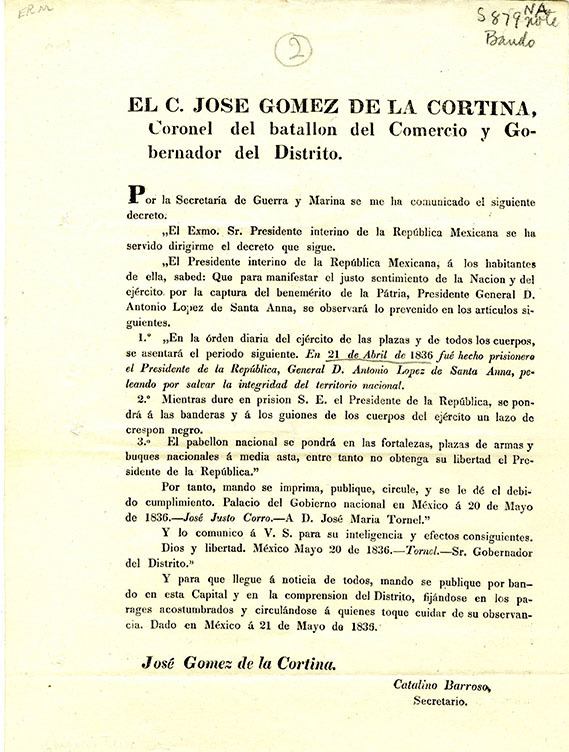 Decree by Mexican Secretary of War Jose Maria Tornel, via District Governor Jose Gomez de la Cortina, regarding Mexico’s response to Santa Anna’s capture at San Jacinto: while Santa Anna remains in prison, a bow of black crepe was to be placed on all flags and standards, and the national colors were to be flown at half mast. Jones Texas Broadsides, box 1, folder 11. [Waco] Columbus Avenue Baptist Church Records, Inclusive: 1903-2005, undated: Contains administrative documents, Sunday school study guides, sermon outlines, newsletters, and other printed material relating to Columbus Avenue’s church life. Gertrude Harris Cook papers, circa 1962: Correspondence and a manuscript Harris wrote on the Battle of Glorieta Pass, an important battle during the American Civil War in New Mexico. Frank Jasek Papers. Inclusive: 1915-2012, undated: Research files consisting mostly of notes, correspondence, photographs, compact discs, and literary productions used in the publication of Jasek’s book, Soldiers of the Wooden Cross: Military Memorials of Baylor University. Jones Texas Broadside Collection, Inclusive: 1822-1845: 127 folio broadsides from the Spanish, Mexican, and Republic periods of Texas history. A program from a 1916 presentation by the younger girls attending the Woodrow school. The school used the White system of expression, a noted methodology to teach students how to best utilize gesture, emotion, and voice in public. Woodrow School of Expression and Physical Culture, box 1, folder 1. [Dallas] Woodrow School of Expression and Physical Culture Scrapbooks, 1905-1929: Photographs, programs, school newspapers, and other materials from the Woodrow School, a girls’ finishing school in Dallas, Texas.